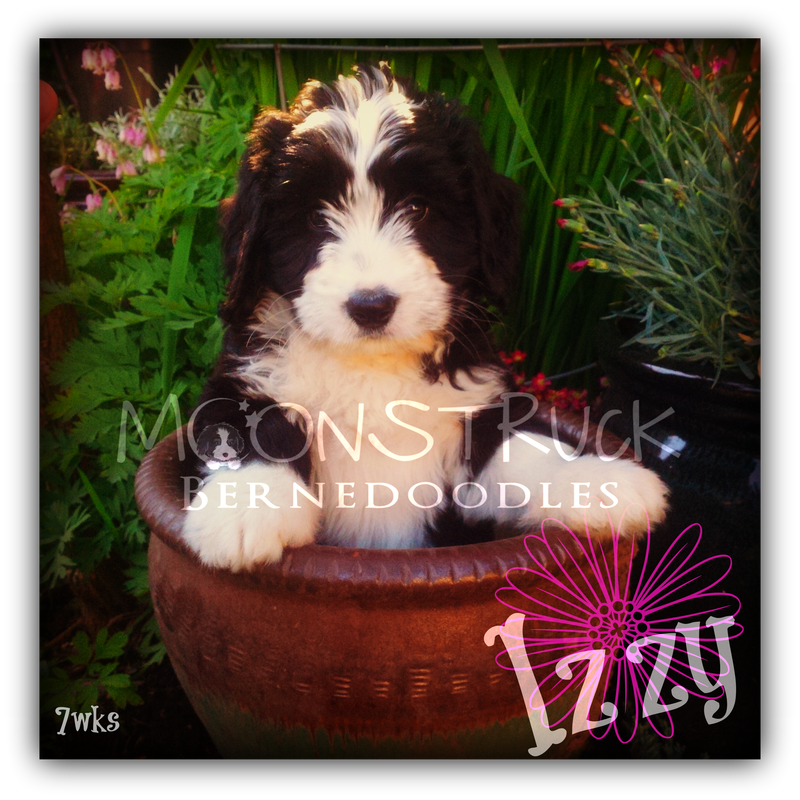 Izzy is a fun loving, beautifully natured girl, out of Moonstruck's Rosie and Dreamland Doodles Scout. She has a fantastic straight fleecy coat and a perfect stocky build. 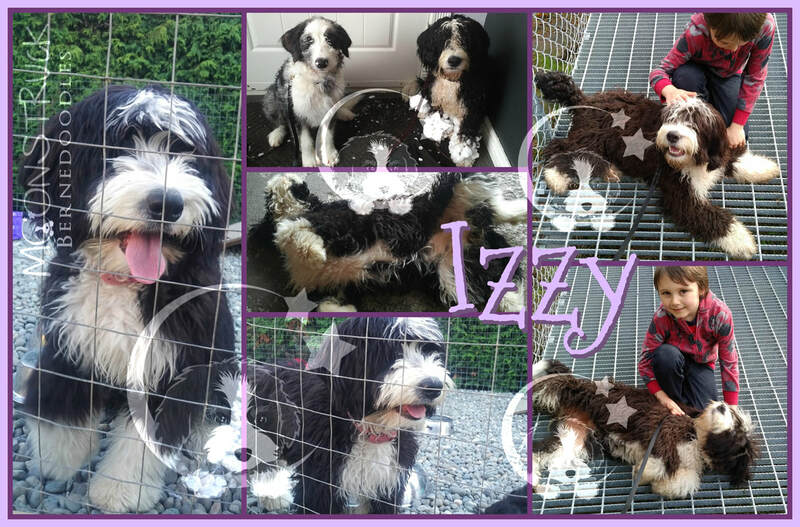 Izzy is a perpetual muppet who stops traffic and charms anyone who meets her. She is a wonderful example of an Australian Bernedoodle: build, a coat to die for and temperament! 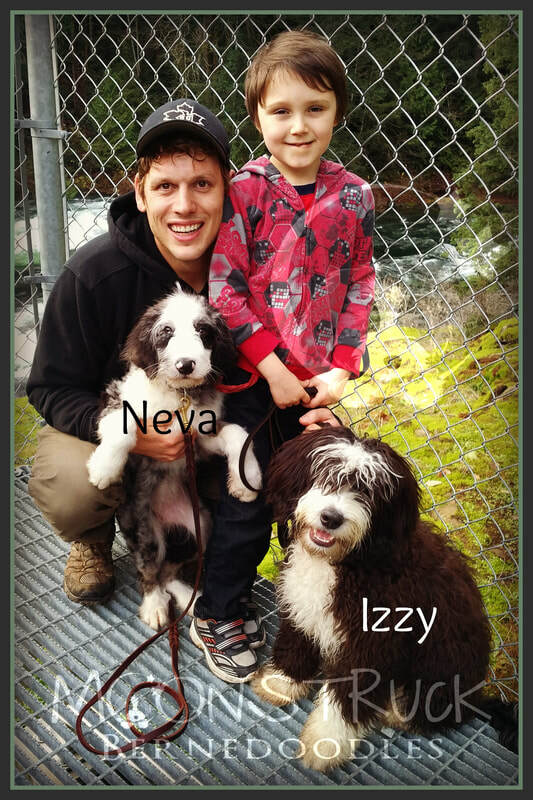 Izzy lives in a guardian home in Sooke, BC.